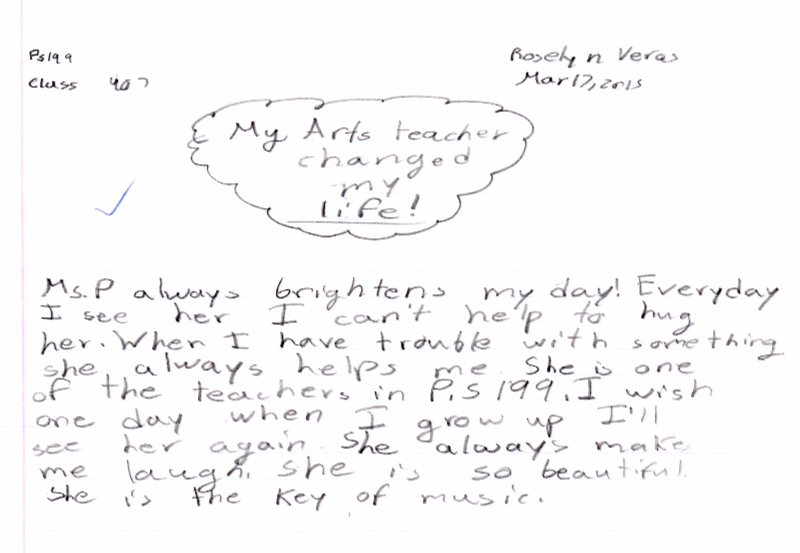 At Scarsdale Strings we love to tell our teachers just how much they mean to us. 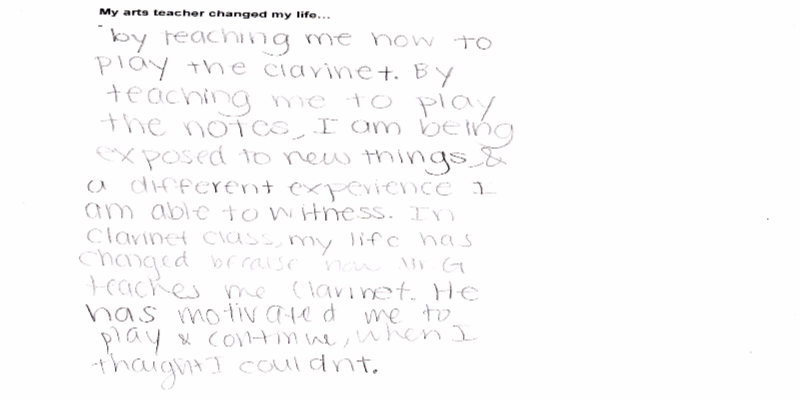 As a part of the Arts in Schools month, we gave students from our different partner schools the following prompt- My arts teacher changed my life. 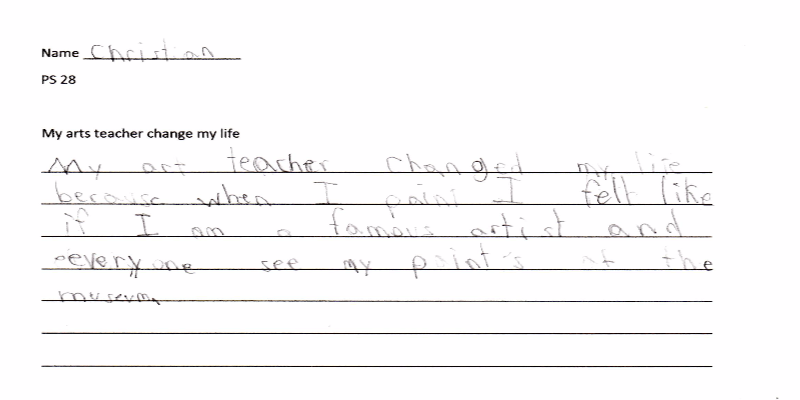 Here are five answers that we found interesting/funny/compelling. 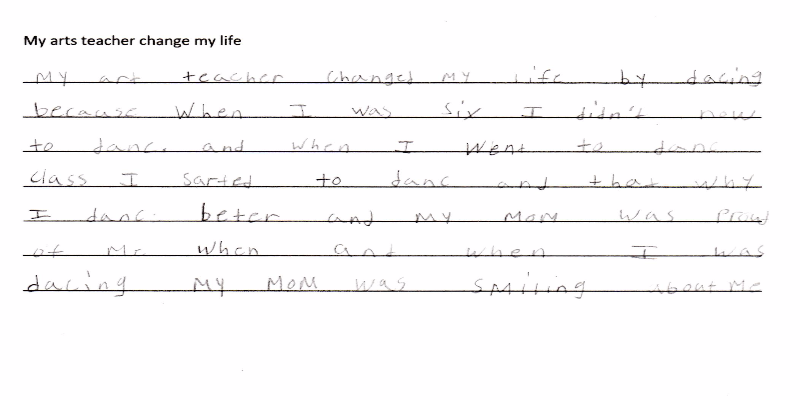 Our instructor always brightens up this student’s day! 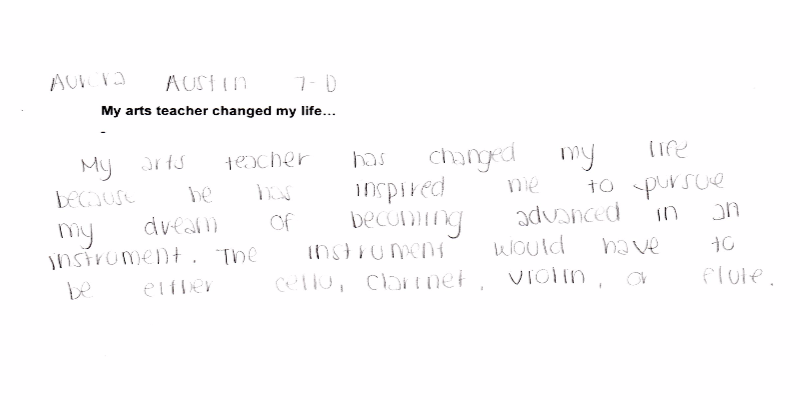 Scarsdale Strings arts teachers make you work towards higher goals!